Going underground around the world! On January 9th of this year, the London Underground celebrated its 150th anniversary! In 1863, the world’s first underground journey took place between Paddington and Farringdon on the old Metropolitan Railway, where steam trains pulled rickety wooden carriages lit by gas-lamps, and was hailed as an engineering success. Transport technology has moved on somewhat since those days with electricity replacing steam and gas. 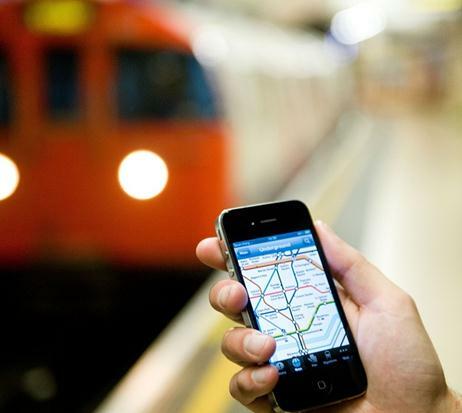 There are even plans to introduce wi-fi and air-conditioned carriages on the Tube! Here the Times takes a look at how othercities around the world fare. The Athens underground system may be one of the more ‘modern’ systems in Europe but is in fact an archaeological treasure. When construction began in the early 1990s, around 50,000 artefacts were discovered, making this the single most important excavation ever conducted in Athens! Some stations even exhibit finds exactly in the place they were found. You can now view the Roman baths at Syntagma station and the remains of ancient graves at Acropolis station making this an ideal way to explore this historical city. Stockholm loves visitors and has a great metro system that makes travelling around the capital really convenient. And if you love art, you’re in luck since most of the capital’s metro stations feature artworks by over 150 artists. A day spent travelling on the metro will reveal sculptures, paintings, mosaics and inscriptions galore! You even have the option to have a guided tour of four or five stations with a Metro expert. It’s fun and an inexpensive way to explore the city, art and culture of Stockholm! The Big Apple’s subway system is, by far, one of the most elaborate in the world with 24 routes serving close to 500 stations and it runs 24 hours a day! Running efficiently and with air conditioned cars, it operates right through this vibrant city so you will have no problem visiting the famous sites of the Empire State Building, Fifth Avenue, Central Park and the bright lights of Times Square! It’s somewhat global in its reach too, running through various diverse parts including the Greek neighbourhood of Astoria, the borough of Queens and Canal Street - the heart of Chinatown! NYC is a great city to travel to all year around and with great value transport, it’s well worth a visit! Singapore’s railway system, known as the Mass Rapid Transit (MRT), spans the entire city-state and is one of the world’s most modern, despite being the second oldest in Southeast Asia. With just over 100 stations, it’s used by commuters and thousands of visitors alike to get around Singapore quickly. It’s best to buy an EZ link card (like a smartcard) from any MRT station in advance of your journeys. Then take in a leisurely stroll in the botanical gardens and visit Clarke Quay in the evening, it’s a pleasurable ride and the easiest way to get about this impressively clean city! Budapest is a lovely European city and its underground railway system is a fast, efficient and great way to explore the Hungarian capital. Consisting of just 3 lines (with a fourth to open in 2014), the metro helps move around thousands of tourists each year. Line 1 is particularly recommended since at almost every stop there is a cultural highlight! Most of the city’s sights can be visited by metro - so whether it’s the Opera House or St. Stephen’s Basilica you are visiting, hop on the train and explore.